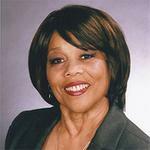 Posted: September 15, 2014 10:57 a.m. Updated: September 15, 2014 10:57 a.m. The helmets only come off for the national anthem, which marks the start of the home game between the Balboa Bandits and the Topanga Maul Rats. Usually, these girls are all on the same team, but not on this particular hot August Saturday night. 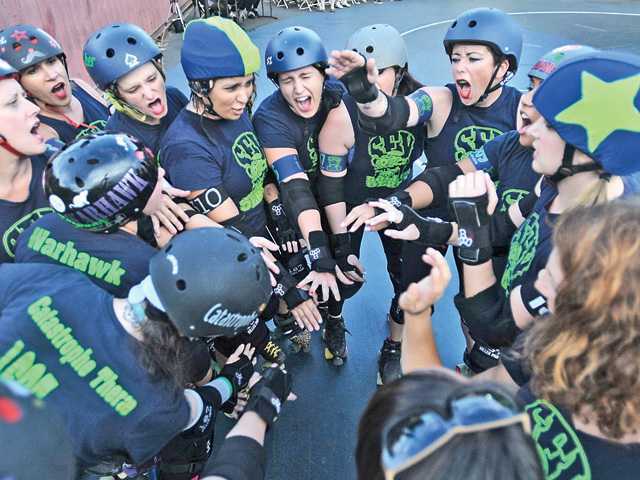 Tonight, it's hard hits to the hips for the San Fernando Valley Women's Roller Derby home teams at their track in Sylmar. The Balboa Bandits are the underdogs tonight, a team of mainly newer plaers, and the Maul Rats have quite a bit of experience on them. "It's a bit more hard-hitting because we know each other's strengths," says Giavanna Patafio. 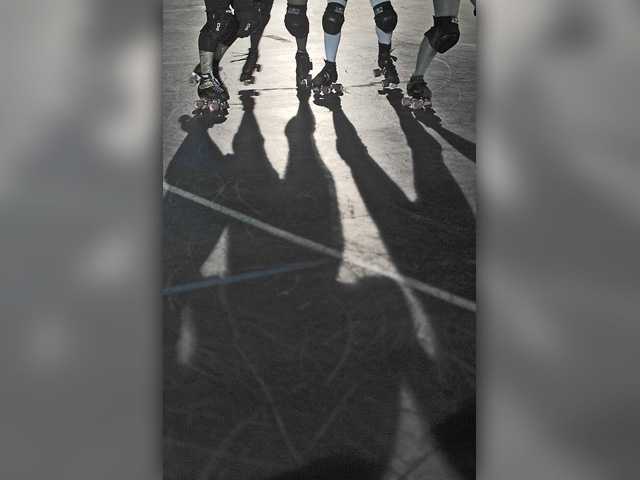 Patafio is one of five players from the Santa Clarita Valley who skate with the San Fernando Valley derby team. She's one of two playing in the match tonight. The bout begins with a bang for the Maul Rats. 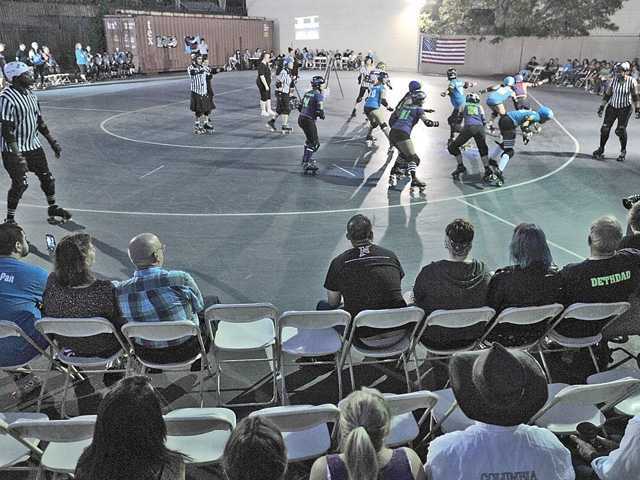 In roller derby, one player called a "jammer" tries to get as many laps around the track as she can. Once she passes the opposing team's hips, she'll score five points. The first jammer to score becomes the lead jammer and holds the power to end the session, called a jam. The Maul Rat's jammer ends the jam, putting the team 30 points up over the Bandits. The crowds seems to be cheering on the underdog. Family and friends of all ages come out to watch and applaud their favorite skaters. Some of the audience members are new skaters, watching a bout for the first time. Two of the newer skaters hail from the SCV. Laura Pearce from Santa Clarita has been skating with the SFV derby team since May. She's preparing for the "fresh meat" bout in December. "I'd always wanted to try it," she says. Pearce, known by her derby name, PresKilla Presley, found the team through Facebook. "I'm glad I kept coming back," she says. "It's like a family. I feel at home." Tonight's bout ends with a lop-sided score: Topanga Maul Rats, 367; Balboa Bandits, 96. "It was fun, but rough," says Valerie Jimenez, better known as PhDiabla. 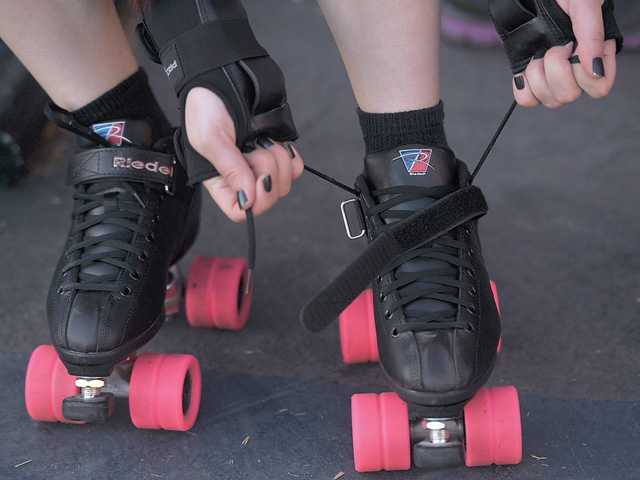 A Santa Clarita Valley resident like Patafio, she also skates for the Bandits. 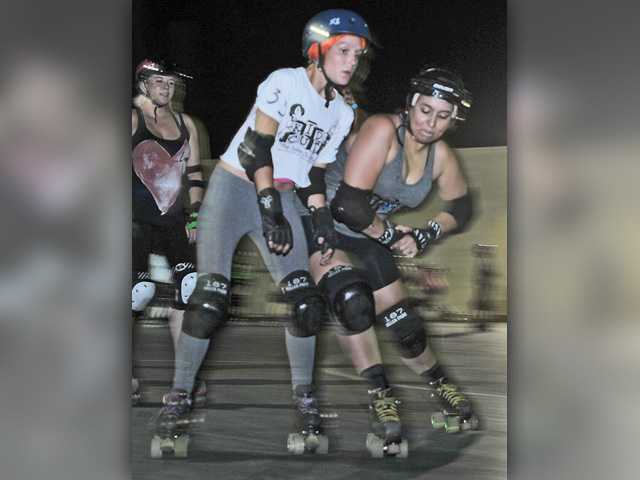 Jimenez got her start in derby while studying U.S. and Latin American history in Chicago, and continuing to skate with the San Fernando Valley derby girls only seemed natural. "It was close to home and they were really friendly right off the bat," she says. The bitter rivalry between the Bandits and the Maul Rats fades as coaches and players hug and congratulate each other on a game well played. That's pretty typical for the players. Come Monday, and it's back to "practices and scrimmages -- we're all friends," Patafio says.